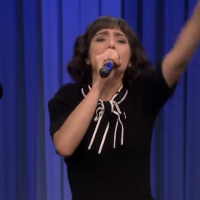 Jimmy Fallon had SNL’s Melissa Villaseñor on the Tonight Show and challenged her to a round of Wheel of Musical Impressions. These are always some of my favorite moments from the show. Check it out!